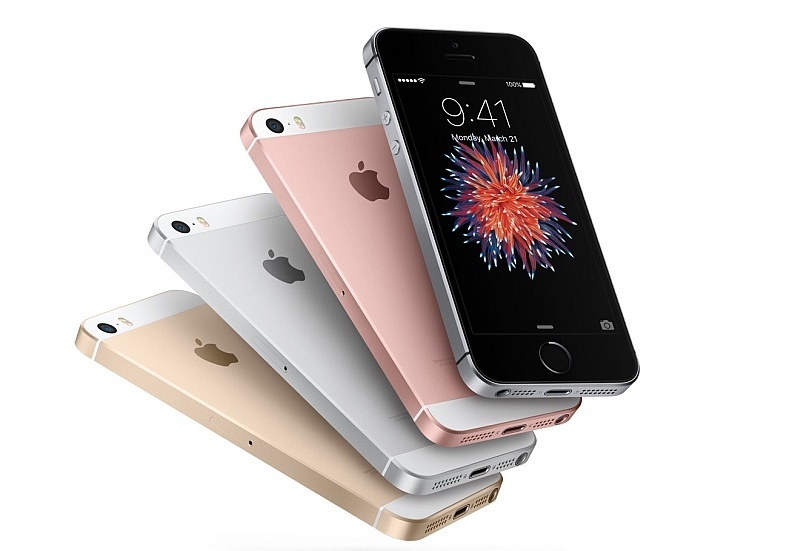 Recently Apple has announced its iPhone SE which is touted to be as the budget iPhone. As for the overview the iPhone SE is packed with almost similar features as the iPhone 6S. For example the same 12 MP iSight rear camera, same 1.84 GHz Dual Core Apple A9 CPU, 2 GB Ram. Talking about the design, this time apple has shrunk the screen size back to 4 Inch similar to what we have seen in iPhone 5s. Not only the screen but the overall design of the iPhone SE is inspired from the iPhone 5S. 1.2 MP Front camera with HD (720 p) recording. USB Type C (Reversible) Port. (Like always). 16/64 GB internal storage options. 4 inch Retina display. Resolution 640 x 1136 pixels. (~326 p.p.i pixel density). The 3D Touch is missing in the iPhone SE which was there in the 6S. Front camera in SE is 1.2 MP whereas the iPhone 6S Has a 5 MP front camera. Also the front camera in SE does not supports slow motion video recording which was present in 6S. The iPhone SE Supports LTE Cat 4 i.e. up to 150 Mbps download & 50 Mbps upload speed. whereas the iPhone 6S has LTE Cat 6 support i.e. up to 300 Mbps download & 150 Mbps upload speed. CPU/GPU CPU 1.84 GHz Dual Core Apple A9.| GPU Power VR GT 7600 Hexa Core. (Six Core Graphics). DISPLAY 4 Inch I.P.S LCD Display. Resolution 1136 x 640. (~326 p.p.i pixel density). CAMERA REAR 12 MP (f/2.2 aperture). Resolution 4608 x 2592. With Phase Detection Auto Focus & Dual L.E.D Flash. | Features: Simultaneous 4K & 8 MP Image Capture, Geo tagging, face/smile detection, H.D.R (photo/panorama). | Video Features: 4K Recording, 2160 p @ 30 F.P.S, 1080 p @ 120 F.P.S, 1080 p @ 60 F.P.S, 720 p @ 240 F.P.S. (Slow Motion Recording). FRONT/SELFIE CAMERA 1.2 MP (f/2.4 aperture). | Features: Face Detection, H.D.R, 720 p @ 30 F.P.S,. NETWORK 2 G/3 G/4 G LTE Cat 4 Support. ( up to 150 Mbps Download & 50 Mbps upload speed). BATTERY Non-removable Li-Po 1642 m.A.h. FEATURES Fingerprint sensor (Touch ID). | 12 MP Rear camera. | Apple Pay (Visa, MasterCard, A.M.E.X certified). | Slow Motion Video Recording. @240 FPS. (Frames per second). SENSORS Accelerometer. Gyro. Proximity. Compass. It is priced at 399$ in USA that is equivalent to 26,600 Indian Rupees. Talking about its price in India, it will cost around 39,000 Rupees for the 16 GB model. ( Price of 64 GB variant is still not disclosed). It will be available in India from April. It will come in 4 color options i.e Silver, Space grey, gold, rose gold.